Automatically digitize and reproduce a cylinder head (intake port, exhaust port, and combustion chambers) with our "At the machine programming" Rottler CAM software. 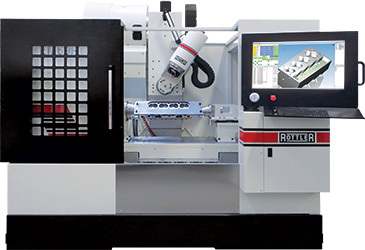 Automatic CNC Digital probing Machining Centers are capable of precise reverse engineering with a Renishaw Probe. Table - Size 19.68" x 59.09"